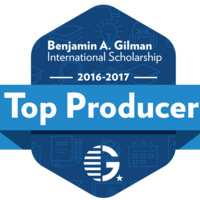 The Benjamin A. Gilman International Scholarship Program is seeking to broaden the range of people who participate in study abroad programs. If you are a recipient of the Pell Grant, you may be eligible for up to $5,000 towards a study abroad program. The URI Office of International Education will be offering information sessions for those interested in applying for the scholarship.